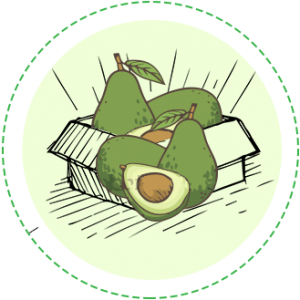 We carefully selected the world’s finest avocados, turn them into ready-to-eat avocado purée, and deliver a box of avo-goodness to your doorstep every month to satisfy your highest standards for personal well-being. Whether the goal is to boost your general health, beauty, weight-loss, fitness or baby and kid’s growth, you’ve made the right choice. 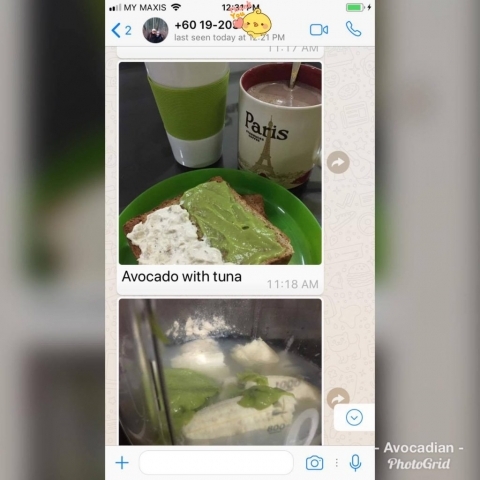 Avocado has become incredibly popular among health conscious individuals in Malaysia for its health benefits that are easily supported by scientific research (read here & here). It’s often referred to as a superfood due to its important nutrients such as antioxidants and good fat, which are essential for a healthy diet. 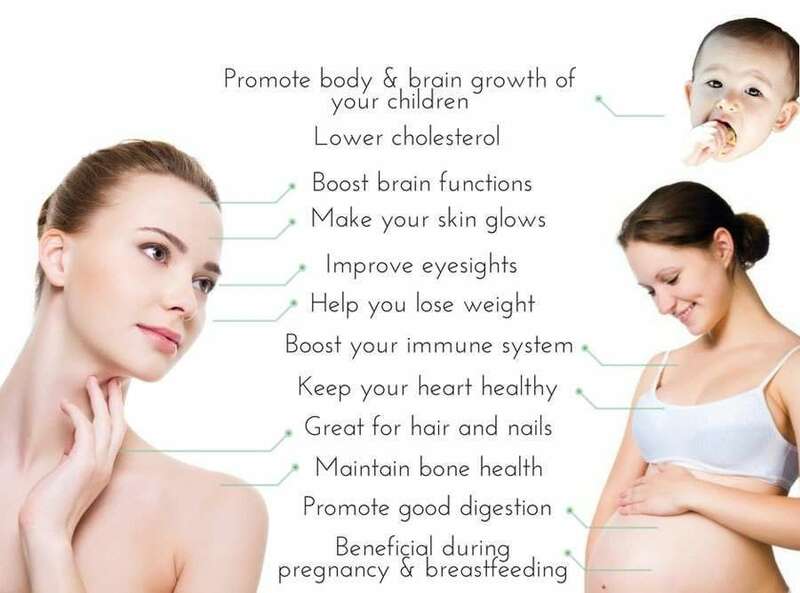 AvoBoost helps you to take care of your health, beauty and kid’s growth all at once. It’s the best investment you would make for yourself and family well-being. Subscribe today to enjoy up to 20% OFF! Everyone can be extraordinary. With AvoBoost, you will achieve your health and beauty goals faster than your peers, while your kids will grow much taller and smarter than average. Trust us. 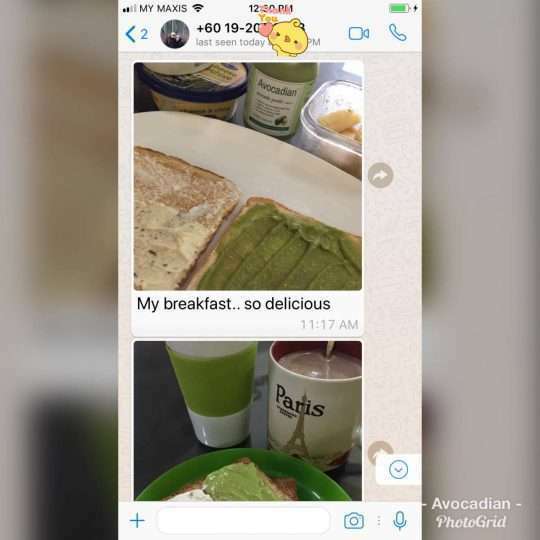 If not, TRUST AVOCADO 🥑! Get healthier and prettier day by day. 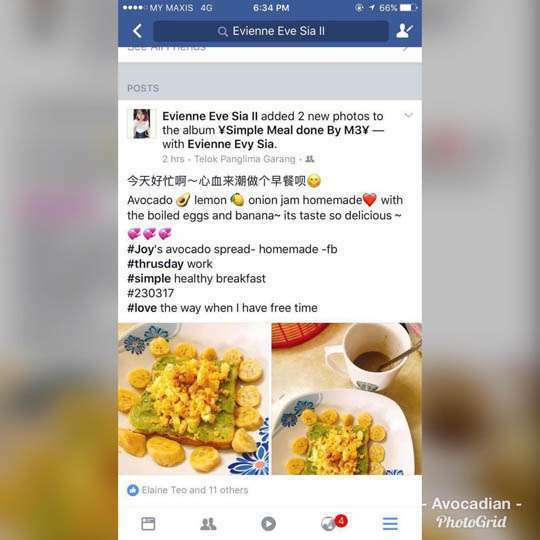 Studies published in the journal Nutrients concluded: “Avocados are a unique nutrient-rich plant-based food that contain many of the critical nutrients for fetal and infant health and development. They fit within the guidelines for a Mediterranean-style diet (that is, they contain MUFA, fiber, antioxidants, and are low-glycemic), which is beneficial for disease reduction in most populations, including pregnant and lactating populations." Dubbed as “Baby's Perfect First Food”, avocado is a nutrient-dense fruit with healthy fat, vitamins and minerals that a baby needs for complete nourishment. Moreover, it is a great baby food with its creaminess and soft texture, making it easy to digest and its nutrients easy to absorb. 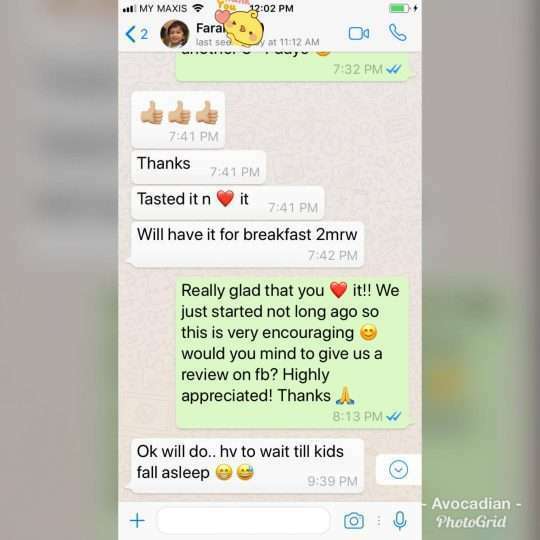 Most importantly, good fat from avocado builds a healthy and intelligent brain especially during critical stages of development, letting your baby achieve the full potential. Avocado is full of monounsaturated fats, the “good” fats that kids actually need in their diet every day to aid in their body and brain development. In fact, it’s recommended that 25 to 35% of kid’s calories come from fats, primarily the unsaturated ones. 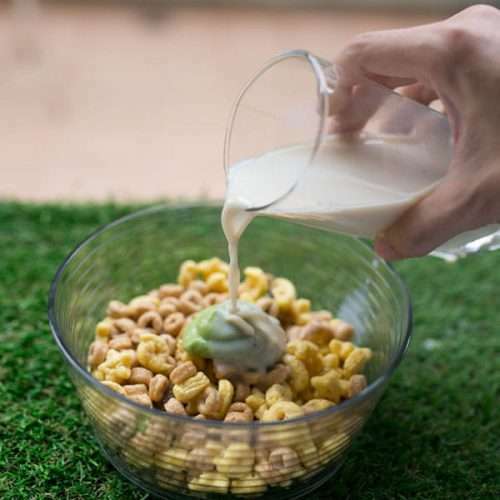 So how do you get your child to eat this creamy green fruit? 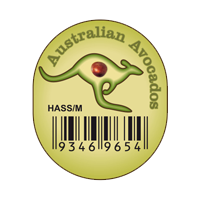 Start kids on avocado early since fat intake is particularly important in the early years. Invest in AvoBoost if one is too busy to take care of their own health because avocado is one of the very few food that can improve the condition of your liver and eyes altogether. 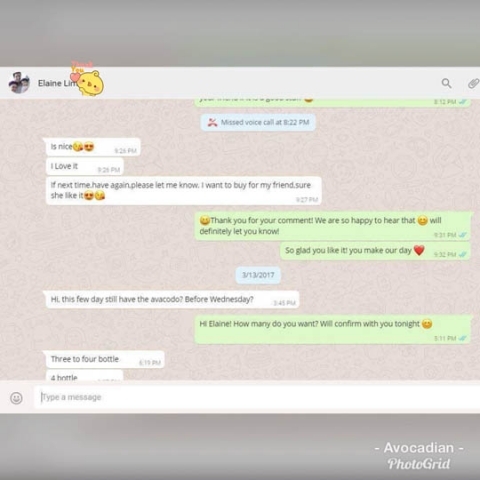 We strongly recommend AvoBoost to all office ladies especially for those always deal with OT and electronic screen. Your avocado purée contains 20+ essential vitamins & minerals that helps to boost your immune system. Moreover, it also aids in body detox, digestion, and constipation relief. Some benefits of avocado include weight loss and anti-aging. Avocado is an amazing treatment that helps reduce wrinkles. Besides that, when you eat avocado, it will help fight aging process from within. 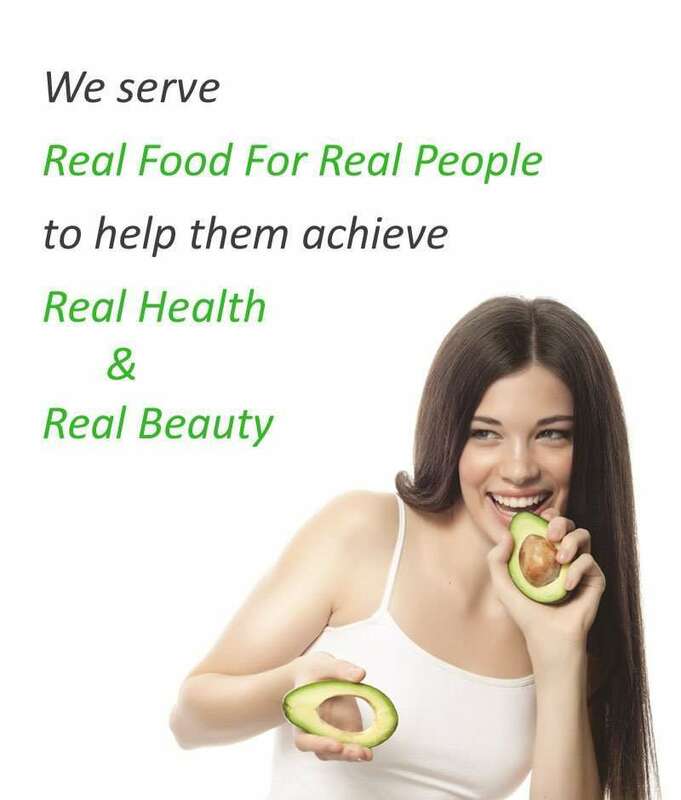 Therefore everyone wants to keep their youthful good looks for as long as possible by eating avocados. The antioxidants in the fruit will help to detoxify your body and help to reduce the appearance of wrinkles, making your skin more supple and plump. 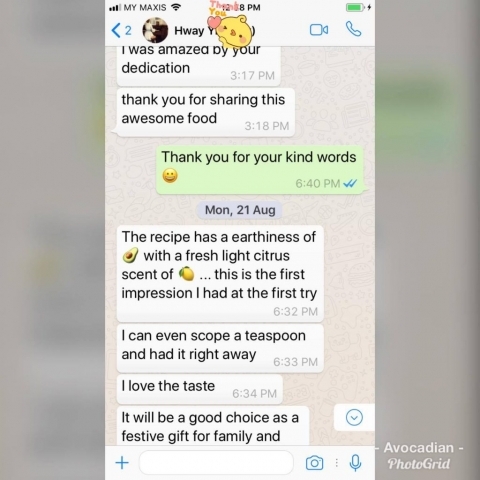 If your parents deal with or are worried about high cholesterol and heart disease, then AvoBoost is the best gift for them. This is because avocado is known to fight many diseases including bad cholesterol and lower blood pressure. In addition, it helps to reduce the risk of heart attacks and osteoporosis. Not only avocados are also high in both potassium, vitamin E, and antioxidants, they also have a high content of folic acid which is what helps with heart attack prevention. 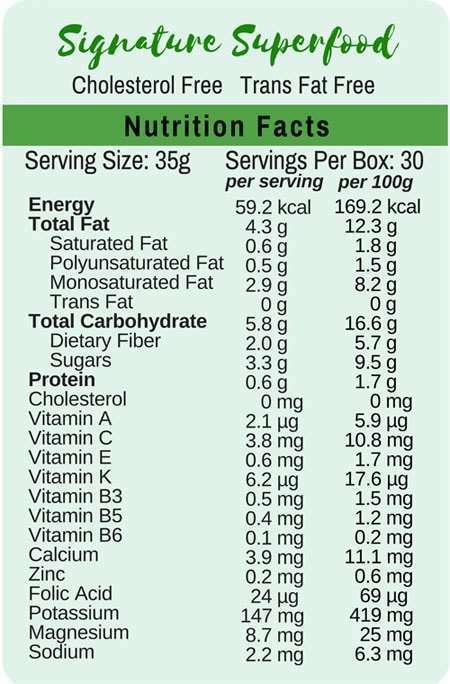 Avocado provides a unique combination of nutrients that makes them a near-perfect lean-mass builder. The average avocado contains 20 different essential nutrients, 250 calories, 10 grams of fiber, and 15 grams of monounsaturated fat. Research also shows that substituting monounsaturated fat for saturated fat can shift fat gain away from the midsection. As a result this will help keep your core looking and feeling tight during a mass phase. We invested in the blast freezing technology so most nutrients are successfully retained. Blast freezing is a process in which food is very quickly frozen at extremely cold temperature. Just like how our mums preserve their breast milk when we were babies, or how we store the fish and meat bought from the market, but our technology presents 32% better result. It’s healthier and tastier now! You gain 50% more body detox and anti-aging effects, and many extra advantages than just eating avocado alone. All thank to the extra science-proven superfoods (pure honey, fresh lemon and sea salt) that provide more than 30 essential vitamins, minerals, and other goodness in every single pack. Note: We offer 100% pure avo-purée for your baby under 1 year old. 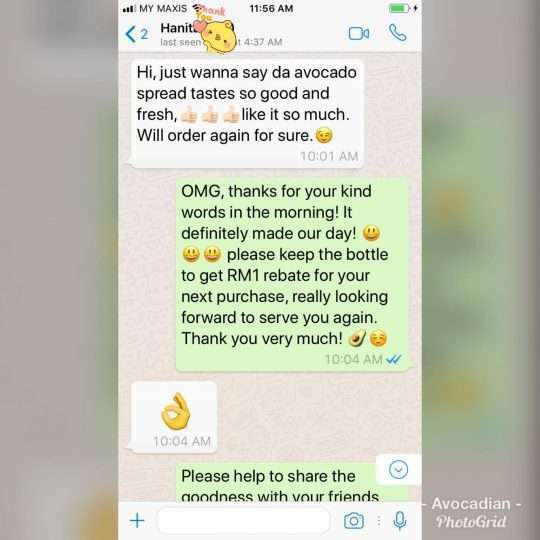 Enough of low quality, tasteless, unripe or rotten avocados. Now you can have perfect avo-goodness ready anytime to satisfy your health and beauty needs with no wasted time and money. 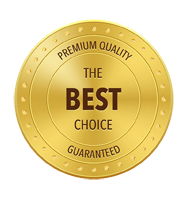 Above all, we thrive to deliver customers a low price high quality product. 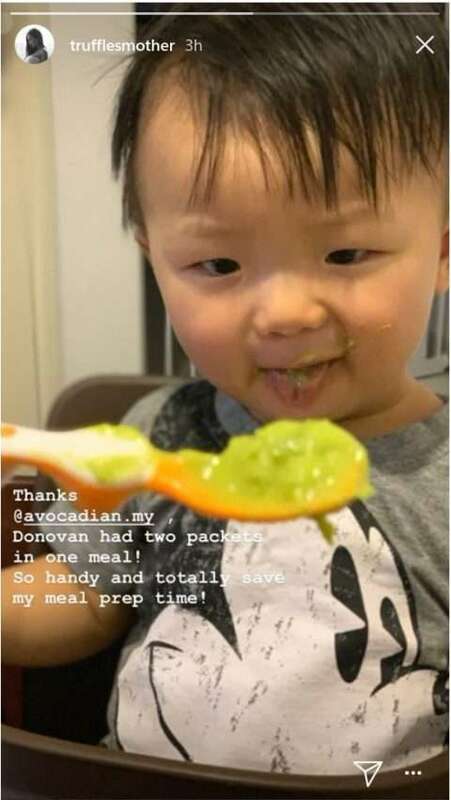 This is one of the main reasons why many health-conscious people love Avocadian as they just need to invest as low as 2% of their income to boost their health, beauty and kid’s growth all at once. Too rush? You can now easily prepare the healthiest and tastiest breakfast for their school mornings! Forget about the chocolate drink, butter, jam, and many other processed food (learn more about the facts). Simply add the avocado purée on your kids’ favourite food. AvoBoost provides many essential nutrients to kids to boost their body and brain development. Love your little ones now, and they will thank you when they grow older. Just be creative with your AvoBoost! Research found that Avocado health benefits surpass the nutrients found in avocados alone: Avocados actually improve the body’s ability to absorb nutrients from other foods. If you are eating salad with an avocado, your body will absorb 5 times the salad’s nutrients than eating the salad alone. The salad dressing in the market is either too sweet or too sour, people always easily get bored with it. 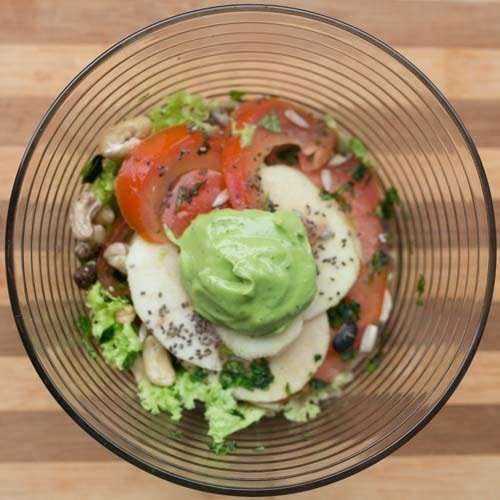 Let AvoBoost be your healthy-licious salad dressing today, the taste is just right! If you don’t understand what is “Food Thickener 415” on the label, do keep it away. 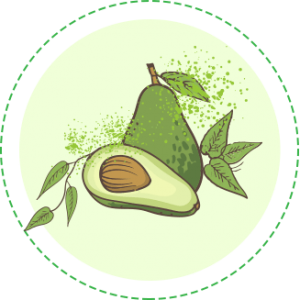 Signature Superfood AvoBoost contains premium avocado pulp (99%), pure honey, fresh lemon, and sea salt. 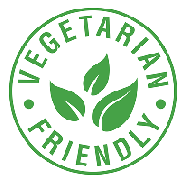 They are science-backed superfoods highly recommended by nutritionists and vegetarian friendly! 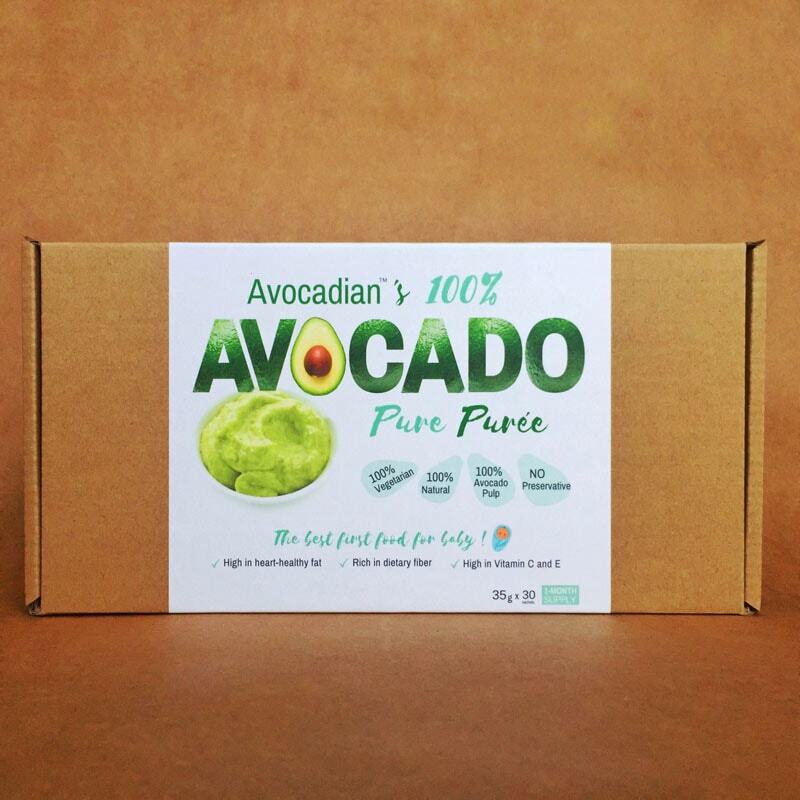 While 100% Pure AvoBoost contains nothing but 100% pure premium avocado pulp. Is my avocado purée 100% natural? 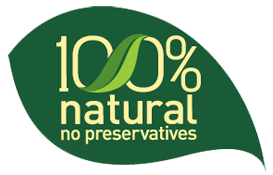 Your avocado purée is made by 100% natural ingredients only. How do I know it's 100% natural? Is it suitable for babies? 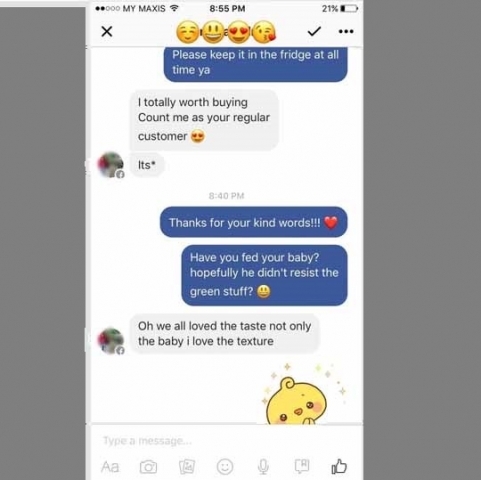 Signature Superfood AvoBoost is not suitable for infants below 12 months of age as it contains pure honey. We recommend 100% Pure AvoBoost as your baby’s best first food. Signature Superfood or 100% Pure? If you've never eaten avocado before or dislike its original flavor, we highly recommend Signature Superfood because most customers love it. Go for 100% Pure if you love avocados or it’s for your infant below 12 months of age. Can I buy a box to try first? 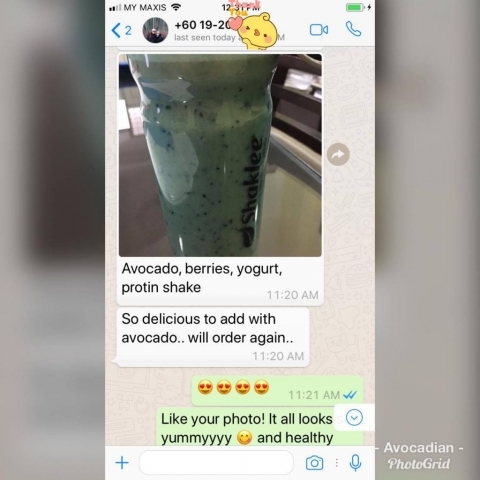 Definitely, you can place an order for "1-Month AvoBoost". 100% Pure: Purchase an avocado at any local store, the chances are our is tastier. 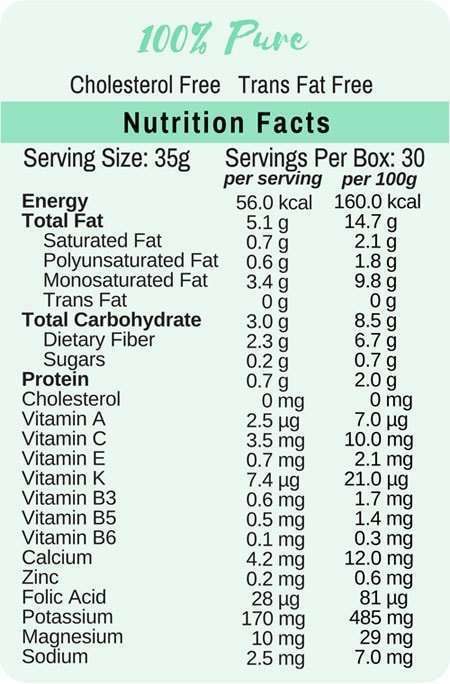 What is the serving size per day? 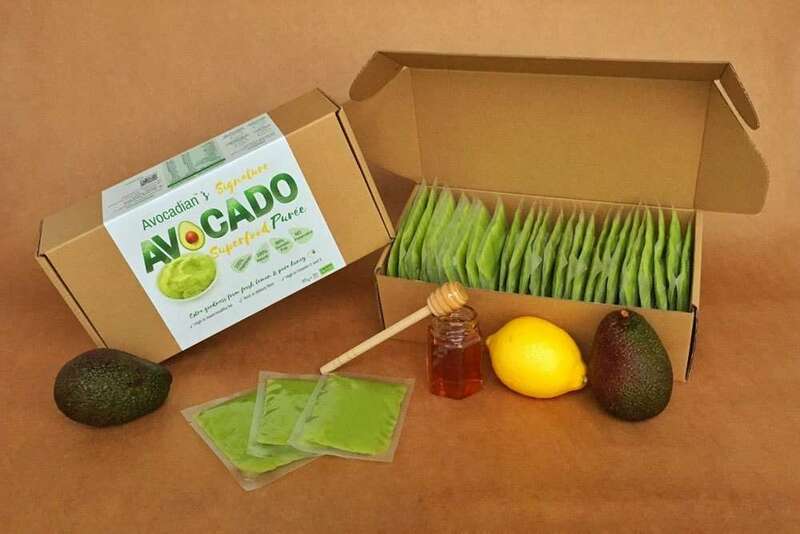 Each AvoBoost box comes with 1-month avocado supply with 30 daily sachets. Consume one (up to three) sachet every day consistently for better health results. Can I eat the avocado purée on its own? The most convenient and easiest way is to eat it directly. Alternatively, you may spread it on toast, mix into your smoothie, or use as healthy dip for snacks and wholesome salad dressing. Get creative! How long can my avocado purée last? Please always keep your purée in the freezer and it can last up to 2 months. Never leave it at room temperature for more than 30 minutes. Too short? This is why you choose Avocadian right? Has the packaging been changed? Yes. 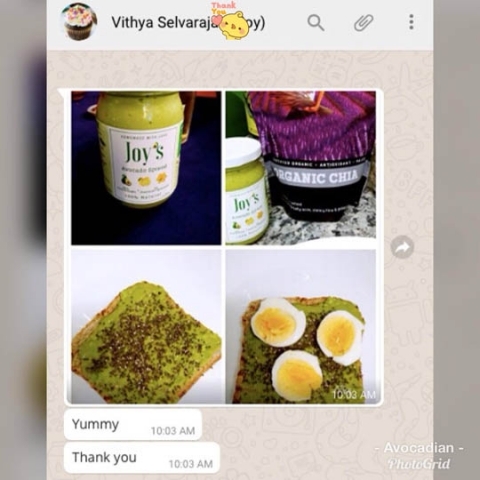 Previously the avocado puree are kept in jars but now we keep them in sachets to achieve more advantages: 1) avoid oxidization 2) more convenient to consume 3) more accurate serving size 4) more consistent consumption 5) same quality but cheaper price! What are the delivery coverage areas? All, EXCEPT: 42940, 43950, 43950 - 45000, 45100 - 45700, 48000 - 48390, 49000. We CAN deliver to: 80000 - 80990, 81100, 81120, 81170 - 81240, 81260 - 81300, 81320 - 81390, 81530, 81540, 81560 - 81590, 81700 - 81840, 81860 - 81890. No. There are absolutely no delivery or handling fees charged to you at any point in time. 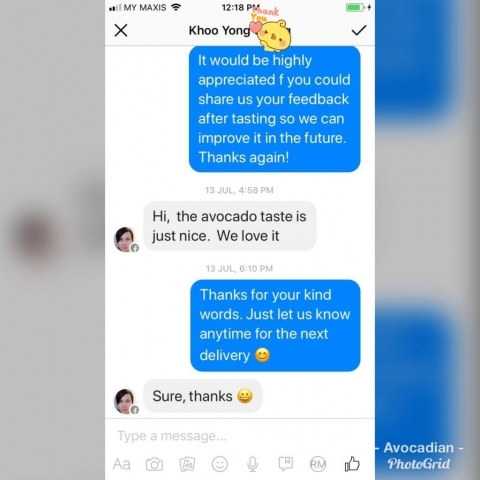 When is my AvoBoost sent out every month? 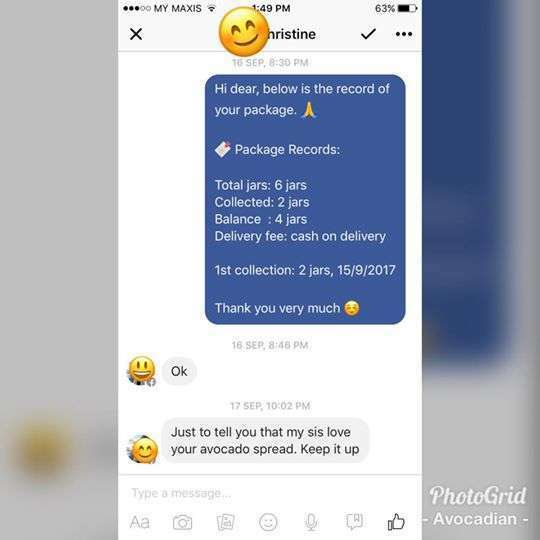 If you order 3 months/boxes of AvoBoost, you may request to get your 3 boxes of avocado puree delivered all at once or separately once the payment is confirmed. Your first month of AvoBoost will be shipped out within 5 business days.  Subsequently, you may contact us when you're ready for the next delivery. 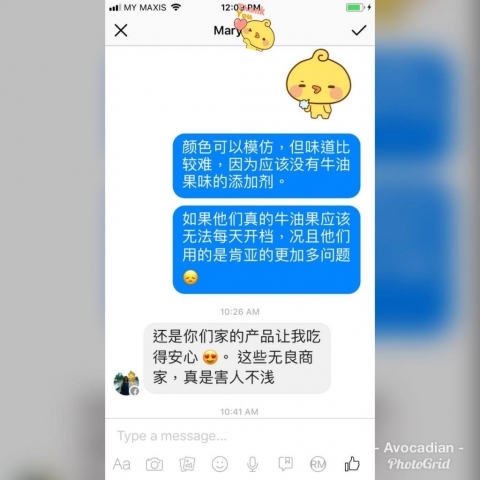 Can I postpone my coming delivery? Yes. After you made a delivery arrangement, Please let us know at least 3 days before your the delivery date and we will reschedule for you. Yes, we understand. Let us know and we would make a special arrangement for you. 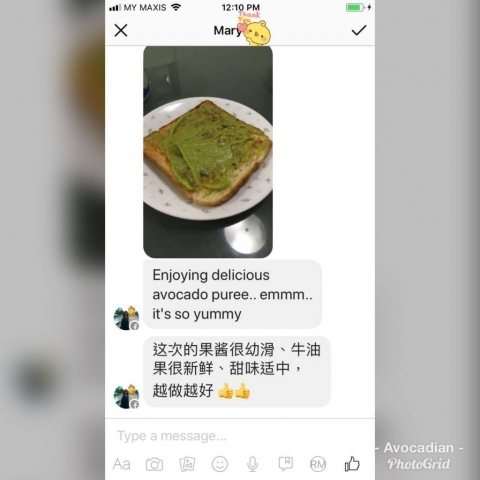 The avocado puree is as fresh as an avocado fruit. My kids want it everyday. It really save me a lot of time so I will get the 1 year subscription next month. Thanks for your great product and the 5-star customer service. Highly recommended to all busy working mothers like me. 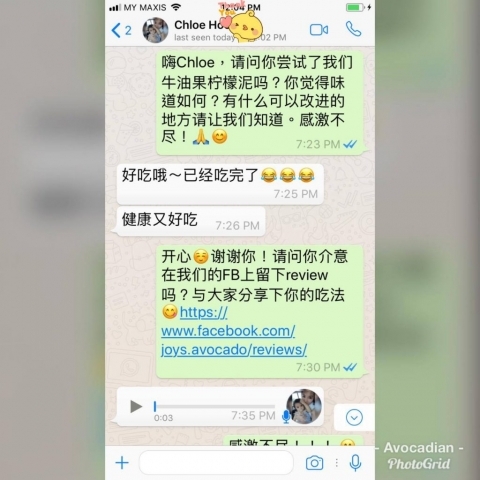 Before subscribing to the AvoBoost, I used to felt tired everyday. My eyes were tired and my liver was badly affected all due to the stress and OT from the job. The worst? My skin started turning bad and dried, I felt so terrible. 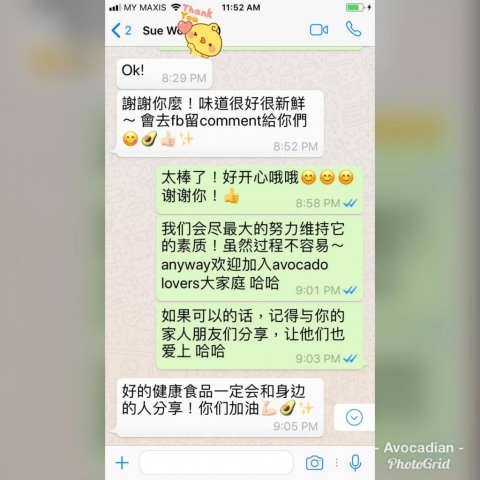 I don’t know why but their AvoBoost just worked! Now I’m feeling more energetic and my skin is getting better. I did eat avocado occasionally back then, but there was no effect at all. Perhaps consistency is the key. Thanks Avocadian! 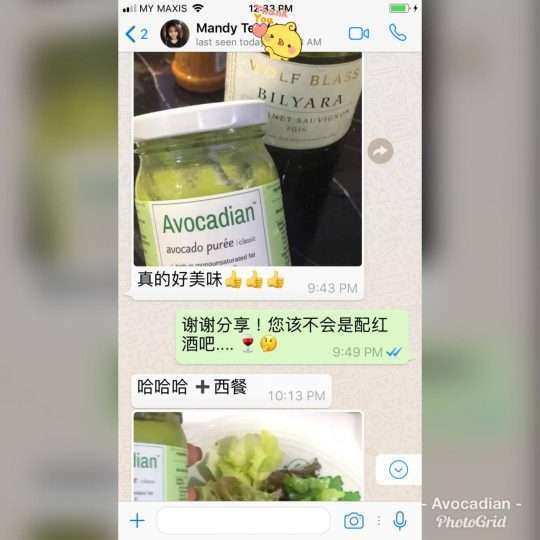 Jar Avocado is so Delicious just no need lunch… I want to diet! 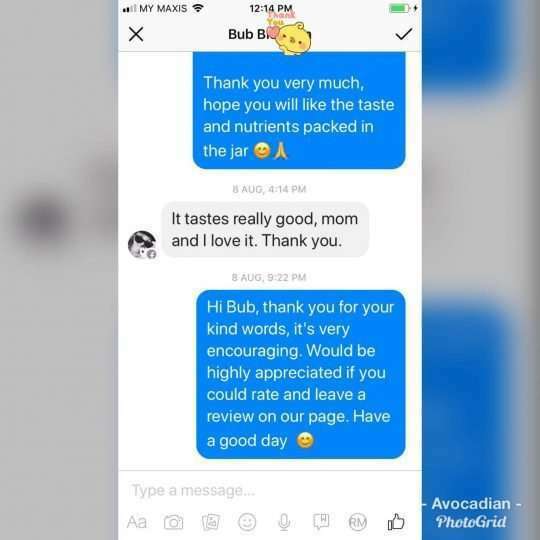 I’ve had my fair share of experiences of eating out of the jar but none as quickly and as delightful as when I consumed Joys Avocado Plus! The purée texture and balance of flavours brought out the best from their Avocado. I was having sore throat and I found relief in every mouthful of the nutritious purée. Do yourself a favour and get a jar! (Or two (for me too pls) ) 😉 keep up the great work with branding and producing such a lovely product. Definitely help me shine from the inside out. Old packaging: The images take few seconds to load.